Hurricane Irma, a Category 4 storm, has made landfall over the Florida Keys. 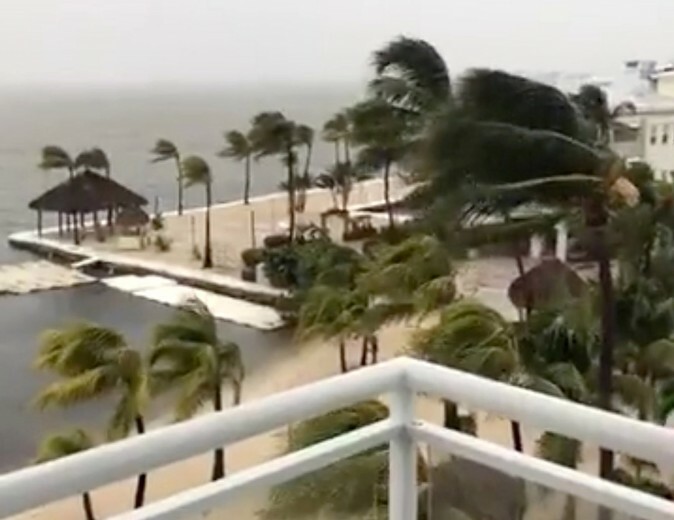 The storm hit Cudjoe Key, Florida, as a Category 4 storm at 9:10 a.m. ET, with winds of 130 mph, the National Hurricane Center (NHC) said. The refuge is about 28 miles northeast of Key West. The hurricane is heading west-northwest at 8 mph. 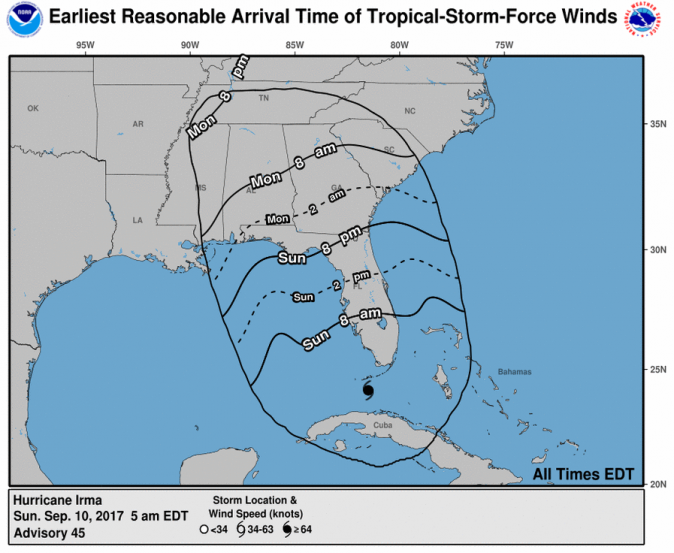 The National Weather Service also warned Florida residents about the hurricane’s eye. “If winds go calm, you’re in the eye. Stay inside! Winds dramatically shift and will do so violently! STAY INSIDE!” it tweeted. Storm surges might be the most dangerous aspect of the storm, bringing some 15 feet of water to some areas. A warning encompasses much of state, from Brevard County to Tampa Bay. 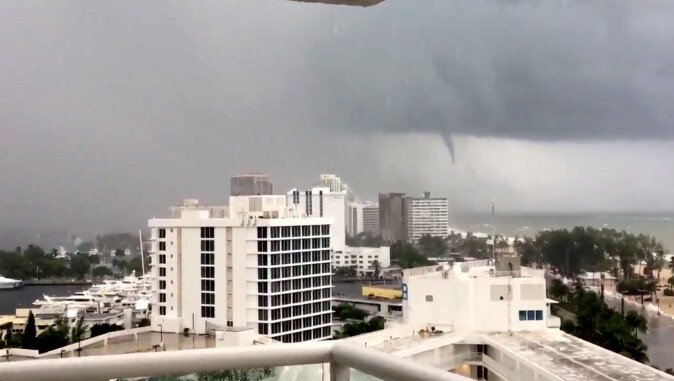 “Pray for us,” Florida Governor Rick Scott said in an ABC News interview as his state braced for the massive storm, which has already left a trail of destruction through the Caribbean, Reuters reported. On Sunday, Florida Power and Light said there are 1.35 million electric customers in 24 counties without power, CNN reported. Some 72,000 people moved into shelters across the state. Irma, which prompted one of the largest evacuations in U.S. history, was a Category 4 hurricane on the Saffir-Simpson scale about 20 miles east-southeast of Key West, Florida, as of 8 a.m. EDT, the National Hurricane Center reported. 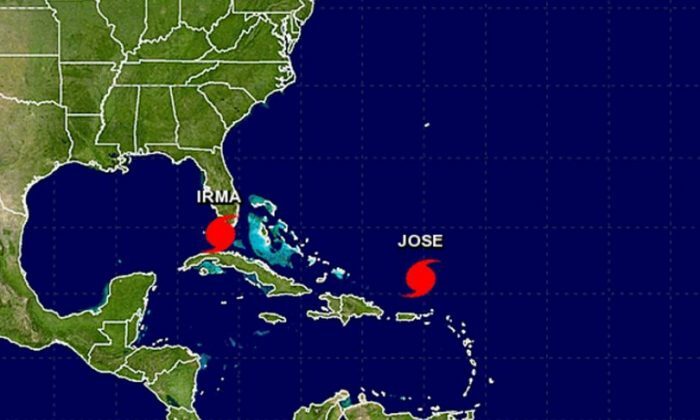 A day after hitting Cuba’s northern coast, Irma was on a path that would take it along Florida’s Gulf of Mexico coast near population centers including Tampa and St. Petersburg, the National Hurricane Center said. Hundreds of thousands of people spent the night in emergency shelters, Reuters reported. Irma was expected to roar up Florida’s western coast through the day on Sunday, with hurricane-force winds extending some 80 miles from its center. Forecasters also warned that tornadoes could form in large portions of the state.